The Airborne Angel Cadets of Texas packed over 100 care packages for our U.S. Military troops stationed overseas on Saturday, November 4, 2017. These care packages will be shipped to Soldiers, Sailors, Airmen and Marines in Afghanistan, Iraq, Africa and the Mideast. 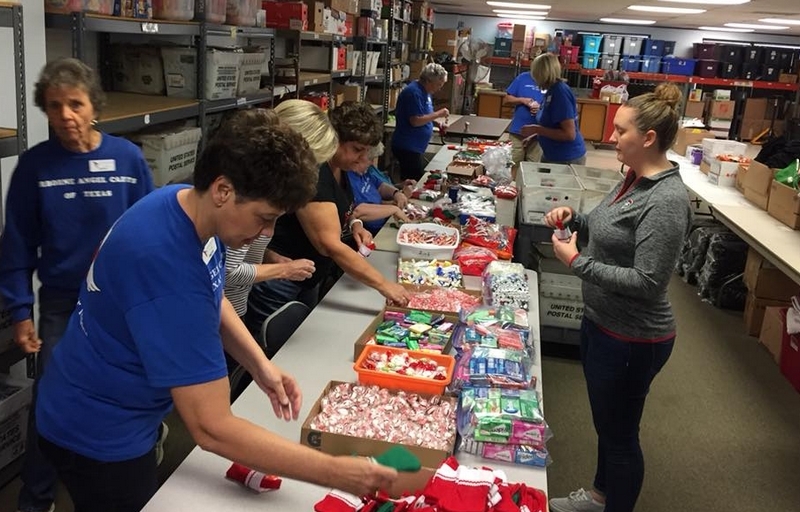 The care packages had a Christmas theme and contained hats, stockings, cards, thanks you notes and some Christmas decorations. Hopefully, these items will bring a smile to the faces of the recipients. The "Angels" are filling Christmas stockings with goodies. The Christmas care packages are packed, taped and ready to be mailed to the troops.